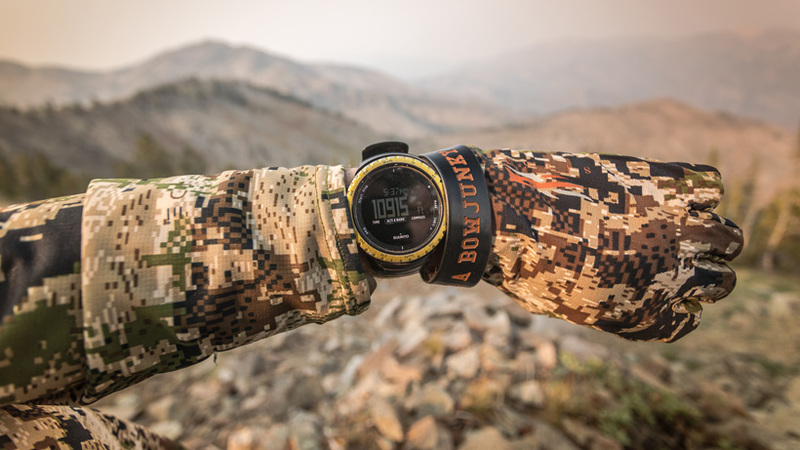 When preparing for a high country hunt it’s important to take into consideration the various high altitude illnesses that can sneak up and end a hunt before it ever begins. 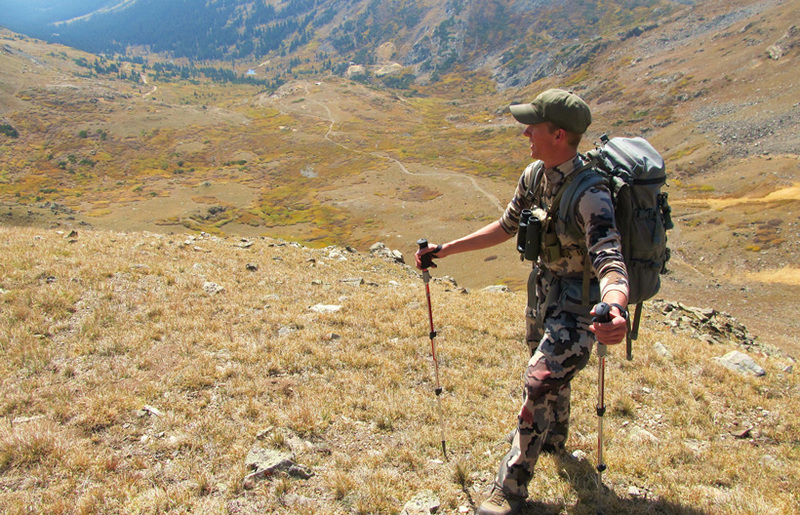 By knowing what to look for and how to prepare for a hunt at altitude, you can successfully ward off each illness that can be life-threatening. High altitude illnesses, which are also referred to as acute mountain sickness, high altitude cerebral edema, and high altitude pulmonary edema, are all caused by low levels of oxygen in the air and will ultimately lead to low levels of oxygen in your blood. Ultimately, our goal is to reduce our risk of developing an altitude-related illness. This can be achieved by increasing our knowledge and awareness of the signs and symptoms of any impending issues. Prescription medications are also available to aid in the prevention of an altitude illness as well as treatment for these illnesses (more on this later). The most common altitude-related illness is acute mountain sickness (AMS). While AMS only occurs in about 25% of individuals who live at low altitudes and sleep at altitudes of greater than 8,000’, this risk doubles to roughly 50% for individuals who sleep at altitudes greater than 10,000’. 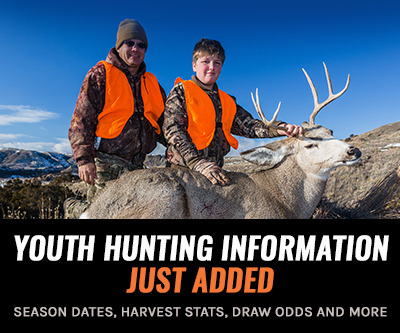 The best way to avoid AMS is by ascending slowly, which might be difficult in most hunting scenarios due to limited days afield and short-season dates. Current recommendations are to avoid sleeping over 9,000’ on day one and to not increase sleeping altitude by more than 1,600 feet per day. Some of the best thoughts are to hunt high and sleep low, avoid alcohol and avoid the use of any sleep aids while adjusting to the altitude. While a slow ascent might be unrealistic for most hunting situations, it is the best way to avoid AMS. However, there is still hope if a slow ascent is unavoidable. For a rapid ascent, the best way to decrease the risk of AMS may be to take preventative medication, which is available through your family practice provider. There are currently two primary medications that are used in preventing AMS: acetazolamide and dexamethasone. Acetazolamide is the gold standard for preventative management of AMS. The goal of taking acetazolamide is to prevent any AMS symptoms from ever occurring by increasing your rate of acclimation to altitude. 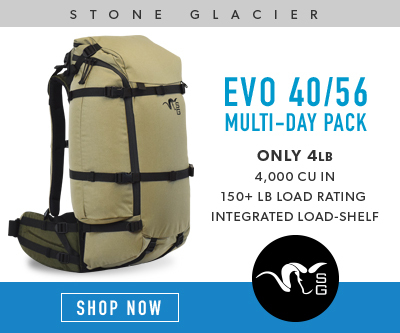 Current recommendations are to take 250 mg twice daily starting the day before a planned ascent. This dose is to be continued for 24 to 72 hours once you are at your highest planned sleeping altitude. Acetazolamide is a mild diuretic, which will result in you having to go to the bathroom more frequently. If acetazolamide failed to prevent symptoms of AMS, dexamethasone is now your medication of choice. Taking dexamethasone will reduce the symptoms of AMS. It can be taken alone or in combination with acetazolamide. Current recommendations are to take 4 mg oral or intramuscular every six hours for one to two days. If preventive medications and a slow ascent fail to keep away AMS, the best treatment option is to rest without any further ascent until symptoms resolve. Other treatment options are all aimed at symptom management. You can take over-the-counter medications like Tylenol or ibuprofen for a headache. Prescription medications like Zofran or Promethazine can be used for the nausea/vomiting. If all fails at relieving the symptoms of AMS, you should descend immediately. A decent of 1,600 to 3,200 feet in elevation is usually effective in resolving the symptoms. If these symptoms are ignored, it is possible for AMS to progress into HACE or HAPE (see below). High Altitude Cerebral Edema (HACE) is a severe form of AMS that can be life-threatening. HACE is a result of leaky capillary beds around your brain leading to an unwanted fluid accumulation around the brain. The incidence of HACE is rather rare, but does range from about 0.1 to 2% while ascending to elevations in excess of 9,800 to 13,000 feet. It can occur in all ages and both genders, but it does tend to have a slightly higher rate for younger males. HACE can be prevented by following all the guidelines for AMS prevention (slow ascent, acetazolamide/dexamethasone). As with AMS, if symptoms progress, a descent is warranted as HACE is a medical emergency. Without immediate descent, you increase your risk for life-threatening complications. Descent recommendations are between 1,600 to 3,200 feet or until symptoms subside. If immediate descent is impossible then emergency evacuation is recommended. Other treatment options available until evacuation occurs includes the use of dexamethasone, supplemental oxygen, and a portable hyperbaric chamber. Since the use of supplemental oxygen or a hyperbaric chamber are unlikely on a backcountry hunt, the use of dexamethasone might be life-saving. Current recommendations for dexamethasone use for HACE is to start taking it as soon as symptoms occur. The initial dose is 8 to 10 mg followed by 4 mg every six hours until descent is made. Taking dexamethasone is not a substitute for a descent, but, rather, a temporizing solution until descent or evacuation occurs. High Altitude Pulmonary Edema (HAPE) is also an extreme form of AMS. Just like HACE, HAPE can be a life-threatening condition that is caused by leaky blood vessels around the lungs leading to unwanted fluid accumulation. While HAPE is extremely rare, it’s typically only seen with rapid ascents at altitudes above 8,200 feet. Symptoms of HAPE will typically occur within two to four days once at your desired altitude. The main symptom of HAPE is a cough with pink/frothy sputum combined with shortness of breath. The shortness of breath can be so severe that it’s even present while resting. It’s possible these symptoms may occur in combination with any of the AMS symptoms. Once again, the only surefire way to prevent HAPE is with a slow ascent. While preventative medications can be used for HAPE, they are typically only used if you’ve had a prior history of HAPE. HAPE is also considered a medical emergency. The best recommendations are to descend immediately to an altitude where symptoms resolve. If descent is impossible, then you should consider an emergency evacuation. Just like with HACE, the use of supplemental oxygen or a portable hyperbaric chamber should be considered if feasible. If descent is not possible and oxygen is unavailable then medications like nifedipine, tadalafil, acetazolamide, and dexamethasone might be helpful. Mountain hunting can take you to some amazing places. You just need to be prepared ahead of time. 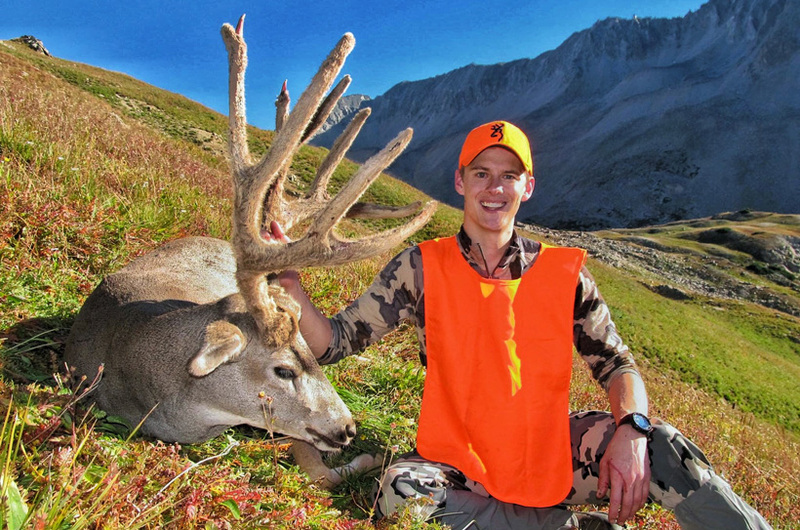 Hunting at extreme altitudes can be a fun and rewarding experience. The key is to go in prepared. A slow and gradual ascent to your desired sleeping altitude is the best way to prevent AMS. Do your best to not overexert yourself and stay hydrated. If you decide you want to try prescriptive measures to help, acetazolamide is the drug of choice to help prevent AMS while dexamethasone is the drug of choice to treat the symptoms. If symptoms do occur, it’s best to rest until the symptoms resolve. If symptoms progress into severe exhaustion, confusion, difficulty walking, or pink/frothy sputum, then it’s likely that AMS has progressed to HACE or HAPE and an immediate descent should be planned. Be safe and happy hunting. Thanks for giving valuable<a href="https://www.aboutmedicine.in">information</a>. I have been on three hunts over 8000' and being from WI I took Altitude RX as well as my two children that were with me. One of the hunts was for mountain goat at 12,500' in elevation and we were never affected by the elevation. At my age of 55 I can tell you I will take this with me on any hunt that is over 8000'. Sure worked for the three of us. Eric D.- thanks for the link, but that's a real small study (36 people). This study followed ~600 trekkers and they didn't see any improvement due to Ginko compared to the placebo (https://www.ncbi.nlm.nih.gov/pubmed/15070635). I used WA AA on a roughly 10k feet in elevation elk hunt. I was with 2 other guys who didn't take it. I can't say that any of us got sick, however, I believe that I acclimated far more quickly than they did. You're suppose to take WA AA 5 days prior to going as well as while you're there. I think it does help to a degree. Tyler, thanks for the input! I come from Minnesota (900 feet) and head out to the high country ever fall (sleep at 11,500). I've gotten a scrip for acetazolamide every year so far. From my experice I always have that slight hangover feeling the first couple days but then it completely goes away. I will then stop taking the acetazolamide. I was just wondering about the WA Altitude Advantage and it's effectiveness. I will stick to the scienctifically proven medication!! Keith, I've never personally used an altitude mask but from what I've seen they won't help prepare your red blood cells by mimicking low oxygen but they might help improve lung strength, which isn't a bad thing. I'm still currently looking at the research on this and will have an article addressing this exact topic. Jeff, I like the idea of your "alpine shuffle". When I lived in Colorado I still struggled with AMS. Nothing severe like HAPE or HACE but very subtle like a constant headache, lack of appetite, and chronic fatigue but I always made dramatic changes in elevation from about 5,500 ft up to about 12,000 ft. Slow and steady is always ideal. Andrew, I've personally never used the WA Altitude Advantage so I can't comment on how well it works. What I can tell you is that it is a supplement so its not FDA approved and there is minimal science behind any supplement (even multivitamins are highly debated). Acetazolamide has been heavily researched and proven to work in preventing AMS and its cheap. The WA AA is about $30, acetazolamide would run about $25-50 depending on your pharmacy. So either might work for you but I personally prefer to use something that has a proven scientific background. I’ve nevery really had a problem with it, but I take along a few canned air bottles and use a few puffs 2-3 times a day for the first few days. Could be worthless, but seems to help me during the acclimation phase. I also try to stay hydrated and walk using the “alpine shuffle” a lot on the first few days. Basically walking at half my normal walking pace. It takes effort to slow yourself down and it obviously takes a lot longer to cover ground, but I’ve never had any altitude issues and I live at 550 feet ASL. 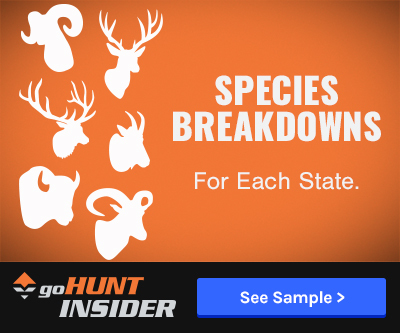 Hey guys I love the site, I'm going to Montana for my first elk hunt fall of 2019 and I live in Pennsylvania. Of course we have mountains here but the highest peak in the state is only 3,900 feet and I don't live anywhere near it. Altitude sickness is really one of my only major concerns regarding the trip so the article helped a lot with informing of possible preventative measures and medication. What I wanted to ask though is if any of you had any experience or insight into the altitude training masks?? I was thinking of getting one for working out and hiking to prepare my lungs for the low oxygen and am really curious as to how, if it at all, the mask would prepare me for the altitude in any way, thanks! Hey Andrew. I've used Altitude Advantage in the past. I can't really say if it helped or not since I'm fairly accustomed to high elevations. I haven't used it in a few years. But sometimes it's better to be safe than sorry. But... I do have a success story in using the Altitude Advantage. In 2014 our camera guy flew to out for a hunt with me. He lives in Seattle, so very low elevation. After flying in, we drove all day and then began hiking later that evening and continued to hike through the night. We had only made it roughly 2.5 hours into the hike and he started to feel very strange. He could barely take normal steps and was sort of walking like a drunk person. Even his speak was a little off. He had a headache and was fatigued more than normal. We decided it would be better to camp right there and finish the rest of the push in the morning. That night I gave him several Altitude Advantage pills and I let him use some the rest of the hunt too. He never had any altitude sickness signs after that. If I remember right, the instructions say to take several pills ahead of time before a hike in elevations, then to drop the dosage to a few pills a day during your time at high elevations. So under that situation... there must be something positive about the WA pills. Hope that helps. I'm happy to answer any other questions you might have... and I can also have Tyler jump on here if you have anything really in-depth questions. He is a wealth of information when it comes to this and he is working on a follow-up article to this already. Has anyone ever used "Altitude Advantage" from Wilderness Athlete? I was curious about its effectivness preventling altitude sickness.